As professionals, and in our personal lives, we have quickly adjusted to being able to browse, choose and discover with a few taps on a smart phone screen or tablet. We also want this service to be available anytime, anywhere so that we have 24/7 help with our decision-making. This is the context for which our new Polysul-Fit Polysulphate calculator has been designed and developed. 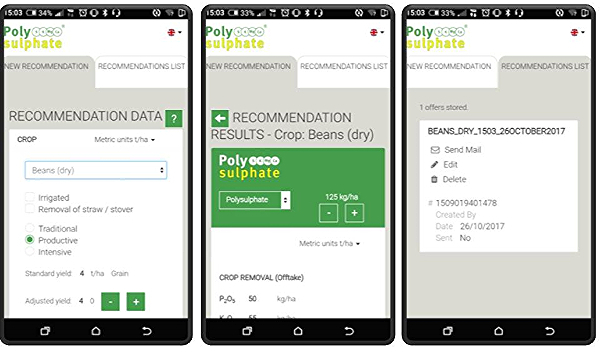 It gives you and others in the advisory business, and farmers too, the tool to quickly and easily calculate the recommended application rate for Polysulphate. The calculator is an application or app that you can download and install on your phone. That done, it is ready right away to find the precise fertilizer rate we recommend. Awareness worldwide of the characteristics of Polysulphate fertilizer - natural polyhalite, soluble, easily-absorbed, containing four key plant nutrients - is steadily growing. But key to profitability is applying the fertilizer at the correct rate to get the full benefit. Under applying or over-applying should always be avoided. This is why we wanted you to be able to have and to share a Polysul-Fit Polysulphate calculator. Punch in a few key facts - the crop, type of cropping and soil type - and in moments the calculator does the rest. 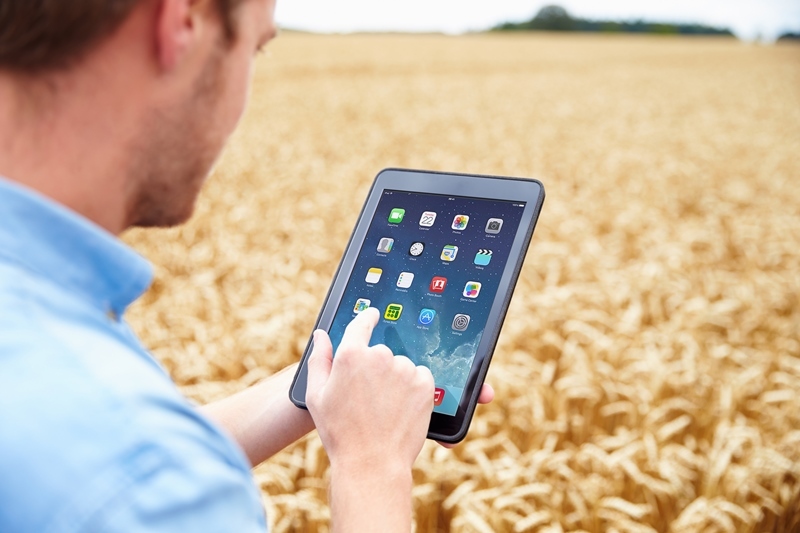 The Polysul-Fit Polysulphate calculator is now available in 6 languages and with 40 crops. That range and reach will grow as we add to the calculator. When you have fields and farmers where you have put the tool to the test then do get in touch with a photo and quote from you or from them of how the Polysul-Fit Polysulphate calculator helps. In the meantime try out the finger-tapping tool for yourself. Download the free Polysul-Fit Polysulphate calculator app from the App Store for iPhone, or from the Play Store for Android phone. 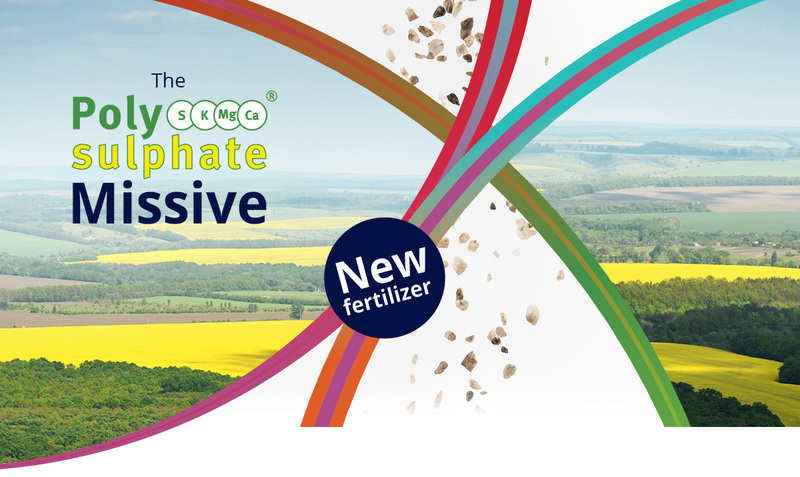 See how easy it is to ensure that Polysulphate can meet a crops’ nutritional needs.